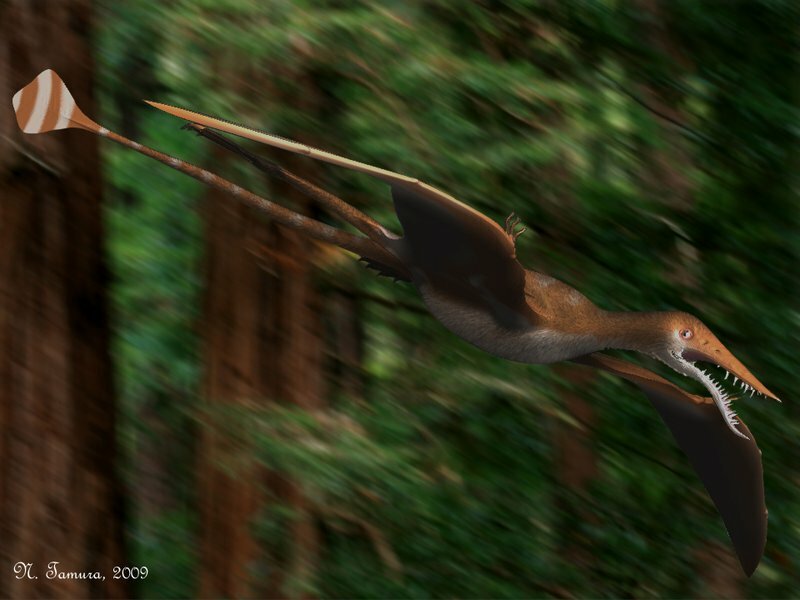 Rhamphorhynchus pictures make this flying reptile look like a ferocious predator. Like something that would have been feared if humans could travel back in time to see it. 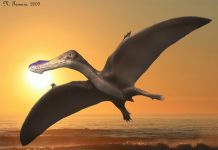 It is often shown with a long snout that is filled with lots of razor-sharp teeth and a body that resembles that of a bat. However, what usually isn’t shown in these illustrations is context. 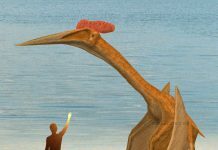 If you could see Rhamphorhynchus next to something that gives you context as far as its size, then you would see it wasn’t a very big pterosaur. 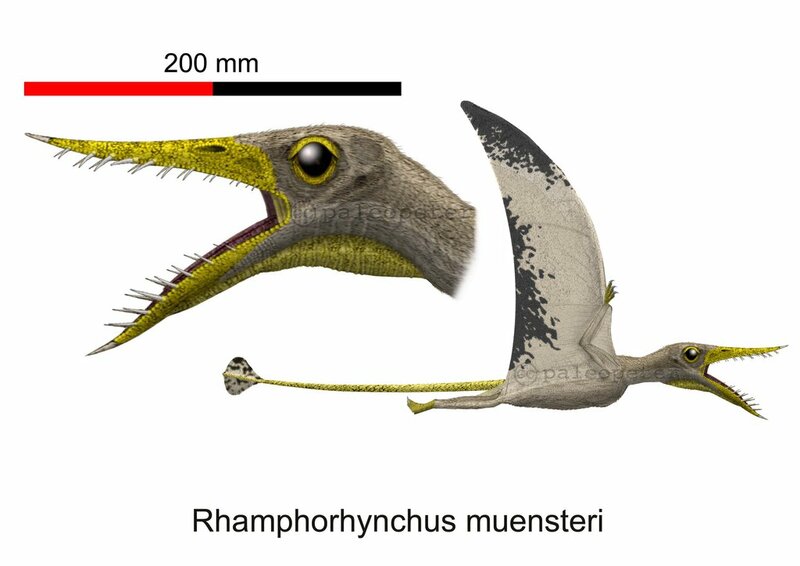 Rhamphorhynchus was approximately 20 inches long and weighed around a pound or two. 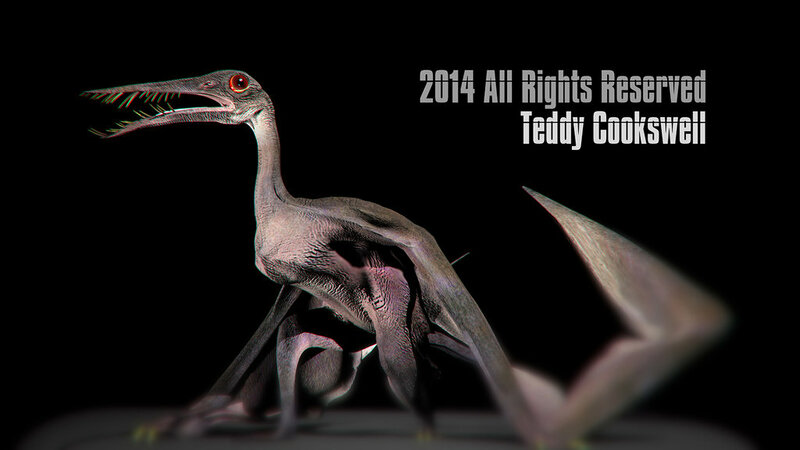 That made it roughly the height and weight of a modern-day pigeon. 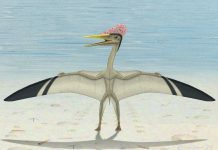 However, it did have an impressive wingspan of 3 feet – which is a little bit more than the wingspan of a Rock Pigeon. 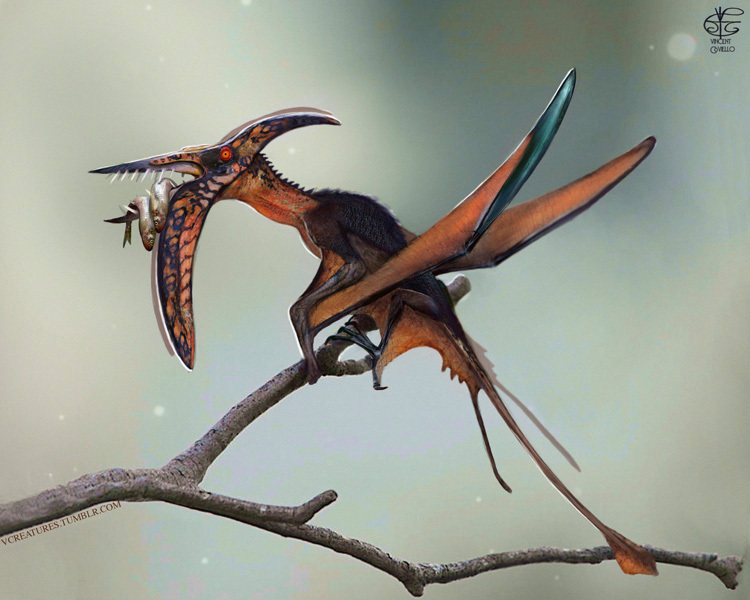 Not exactly a creature that would put fear into most of the animals which lived during the Late Jurassic Period. 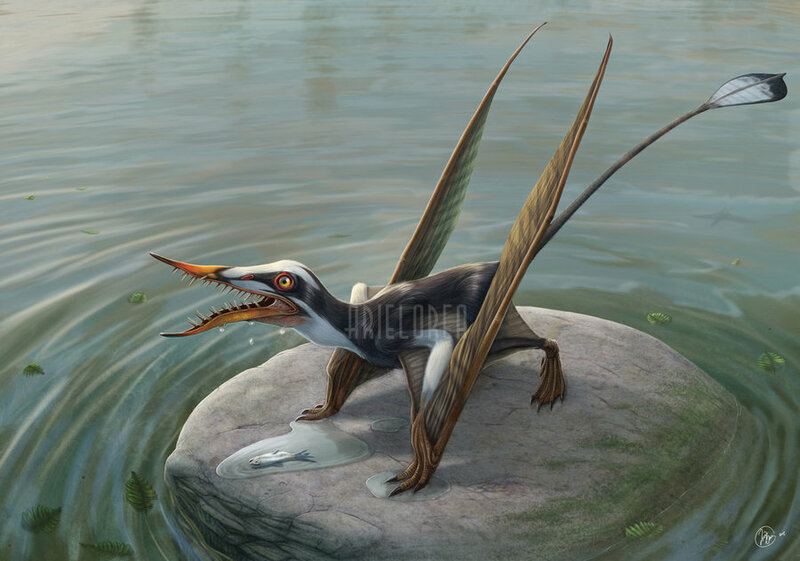 Rhamphorhynchus had a long beak and sharp teeth that gave it all of the tools it needed to feed itself. 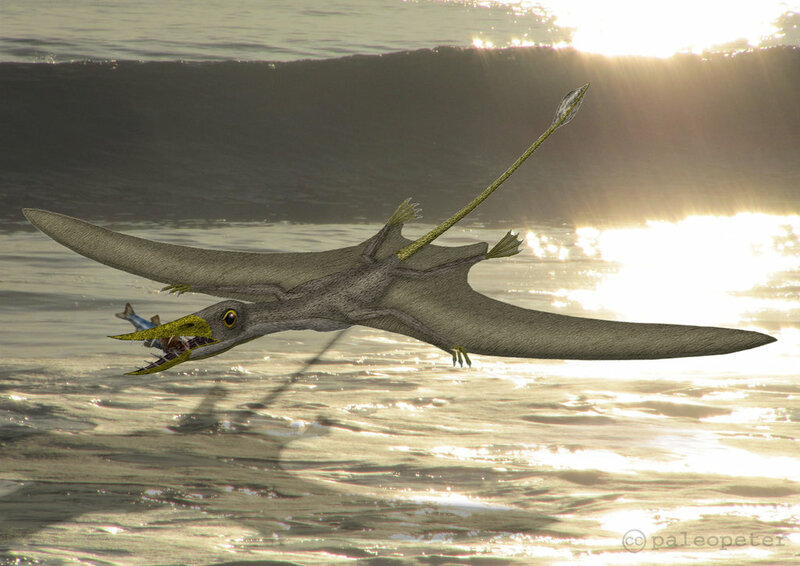 It probably used its snout to dip into lakes and rivers and scoop out fish. It also may have eaten insects and or frogs. 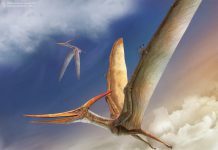 Paleontologists have studied this pterosaur for a long time now. So long, in fact, that they even know what its favorite fish was, which just so happens to be Aspidorhynchus. 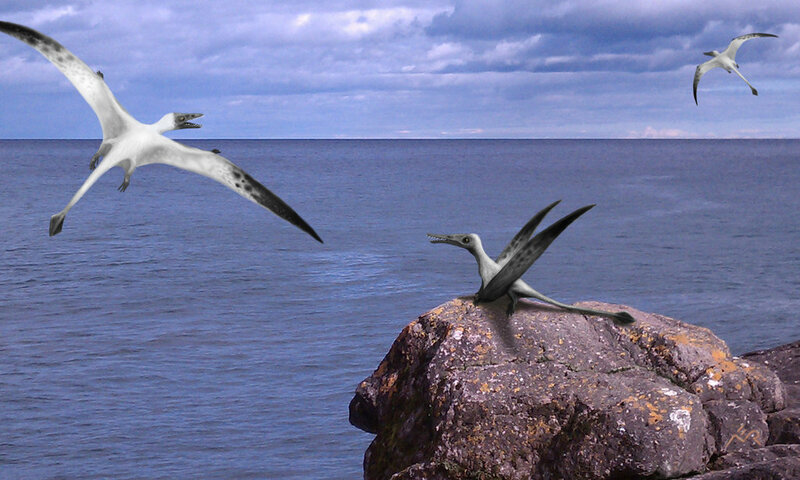 One of the most interesting facts about Rhamphorhynchus, however, is that the Solnhofen fossil beds of Germany did such a good job at preserving them that paleontologists know just about everything there is to know about these flying reptiles. 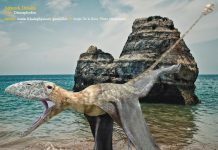 They not only know its size, shape, and its diet but they also know its bone structure and the layout of its internal organs. 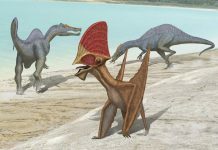 That is how well these fossils were preserved.